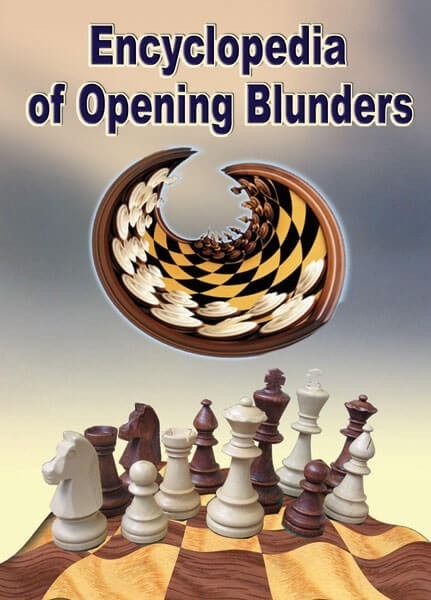 Encyclopedia of Opening Blunders ┬û Learn to play chess by learning the opening mistakes and traps that have been discovered over time. The program designed for studying the blunders in more than 40 openings and contains over 1250 instructive exercises of varying difficulty from practical games. Be ready to trap and avoid being trapped with the Encyclopedia of Opening Blunders! System requirements: IBM-compatible PC, 256 RAM, Hard disk 50 Mb, Windows 7/Vista/XP, CD-ROM drive. No additional software required. USCF Sales now offers a convenient eSoftware option for many of our best-selling software titles.. Rather than having to wait days for the disk to be delivered to you, you can now download it via the Internet and enjoy it almost instantly on your computer. NOTE: ALL ELECTRONIC (E) SOFTWARE SALES ARE FINAL. How do I download my new eSoftware? Once you have completed the purchase, you will receive an email that contains instructions on how to download your eSoftware. The email will contain both a download link for the software as well as a unique serial number that is necessary to install the product. Please allow up to one business day for receipt of this email as they must be processed manually during business hours. Unfortunately, a working email address is required to purchase eSoftware. If you do not have a working email address, we recommend that you create a temporary email address at one of the many free email providers (hotmail.com, yahoo.com, gmail.com) and use that when you place your order. If you enter a non-working email address when making your purchase, we won't be able to send you the installation instructions and you won't be able to download the software. We are not responsible for customer orders where a non-working email address was provided during purchase. What format is the eSoftware? The eSoftware program is an installation tool that will allow you to install the full computer program on your computer. Please note that all eSoftware products require a Microsoft Windows(R)-based computer. eSoftware files vary in size depending on the program, ranging from a few megabytes to gigabytes in size. A high speed internet connection is recommended for the download of eSoftware. What happens if I accidently delete the eSoftware file? Our file transfer system allows you to download the eSoftware should you need to reinstall it. . Should you lose your eSoftware, you can click on the link in the email and download the eSoftware again. YES! Should you accidentally delete your eSoftware, you will need the link in the email to download it again and the registration code to install it. If you lose the email with instructions, you will have to repurchase the eSoftware again. We recommend bookmarking the download link in your web browser for easier access. Is copying the eSoftware illegal? Yes! When you purchase an eSoftware, it is for your personal (non-commercial) use only. You do not have permission to copy it and distribute it. This is illegal and distributing it would be against the law. Please note that each time you install the eSoftware, it connects to the Convekta Validation Server via the Internet to verify that it is a legitimate registration code and Convekta does keep track of how many times each registration code is used. So please don't copy the eSoftware. Due to the nature of the Electronic Software (eSoftware) item, eSoftware purchases are not eligible for return or refund under any circumstances. IBM-compatible PC, 256 Mb RAM, hard disk 100Mb, Windows 2000/XP/Vista/7, CD-ROM drive. No additional software required.